Skunkboy Blog: Sew With Us Ecourse is Here!! *Sigh* That non-traditional kimono is still my favorite. The Sew With Us ecourse is on sale for $30 right now (from $45). I have to say, wrapping up a project this large has me feeling pretty giddy. If you are interested in sewing, but haven't really taken the plunge... or, if you have dabbled, but are feeling a bit rusty, this course is for you! Now, excuse me while I run off to do a happy dance! xo. 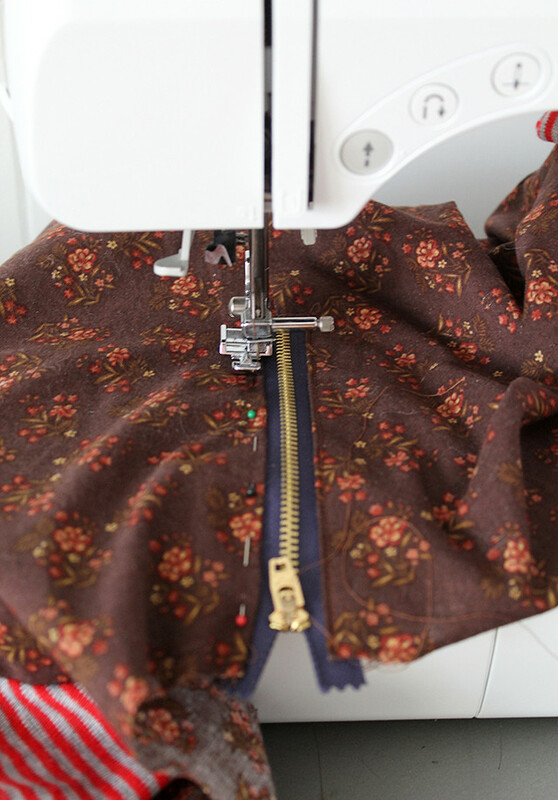 Does your ecourse covers basic hand sewing or is it directed at sewing with a Machine? I don't have much experience with hand sewing other that attaching loose buttons, and I'd rather know if it covers the basics before purchasing as I don't have a sewing machine yet... They're quite pricy where I live. Hello! This is ecourse is for sewing with a machine, so I would wait to purchase until you have access to one. Thanks for asking! xo. Suuuuuuuuuuuuuuper cute. :) My favorites is the skirt with the buttons and the black dress. Did you take sewing lessons, Katie? Or did you teach yourself? I am currently taking some sewing and drafting (patterns) lessons from a lady from my church. She is really enthusiastic about it and she has been sewing since she was four or five. I had no idea how involved and interesting sewing could be! Yes, sewing is SO interesting! I'm mostly self-taught, but I think lessons sound so fun! I'm always learning when it comes to sewing. I am so excited that you ladies have put together a course to get people into the wonderful world of sewing. It's a great skill to have. You should have people send in photos of their makes from the course and do some round up posts! Yes! I love this idea~ I can't wait to see people making their own versions! Congrats on finishing this and putting it out for the world to see, Katie! It looks like it'll be a lot of fun. I've had a sewing machine on my wishlist for a while now, and when that finally happens I'll be sure to register for this! I'm so excited for this e-course. I got a sewing machine a few years ago as a gift from my mom and I've been so nervous to try any patterns, I'm excited for this to hopefully give me the confidence and knowledge I need to get it going. So excited for this! I've been sewing for awhile but I'm looking forward to seeing what you guys cooked up and getting inspired to sew again! I've been in crafting hibernation! 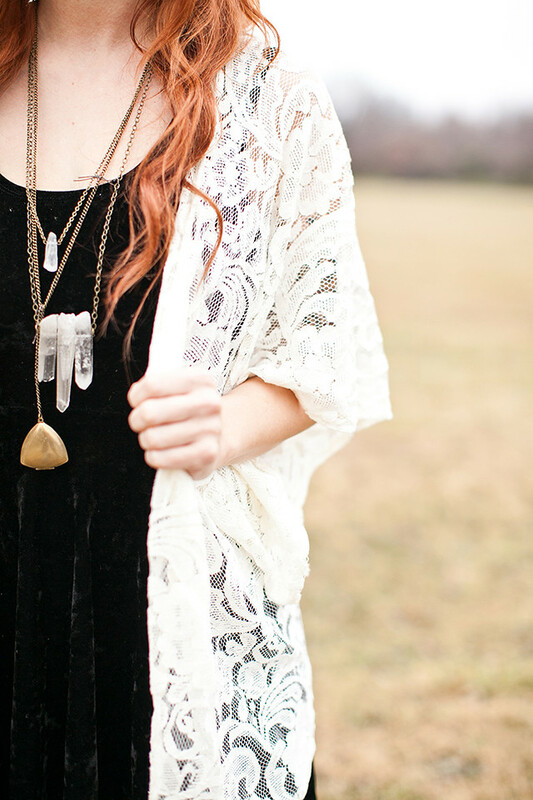 I think I gasped out loud looking at that perfect crystal necklace in your kimono photo! 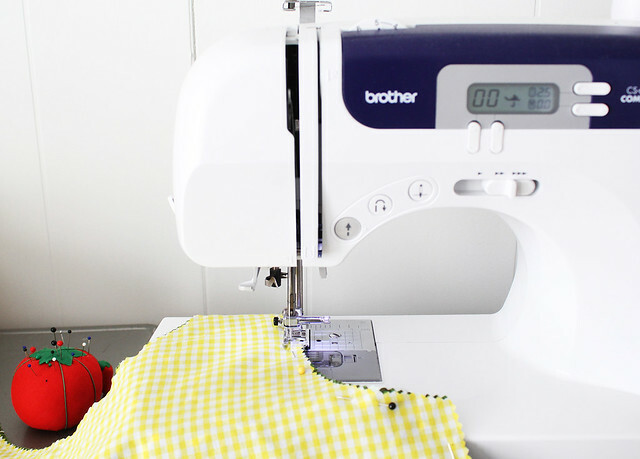 You're making me want to buy a sewing machine and give it a whirl! fantastic post, i love these pictures and this style!! I'm so excited for this! I'm definitely signing up. I can't wait to make a green skirt like that. It's beautiful! I have always wanted to learn to sew. My grandmother taught my mother who taught my sister, but when it came to me I was told, "No You wouldn't be good at it." I have needed an excuse to buy a sewing machine and teach myself this craft. I have taught myself needlepoint, knitting and crocheting... I think I will be a decent seamstress! Very nice post. Thanks for sharing such a useful post.